Nothing is hotter right now than health and wellness. More than ever before, people are looking for answers to their health challenges. Some people want to lose weight, get in shape or eat better. Others want to find solutions for problems such as chronic pain, endless fatigue or mental exhaustion among the many, many others. Health coaching is still relatively new and offers many possibilities and options for those entering the field. It’s important that as a first step to wellness coach certification, you understand what options are available and how you fit into the field. In my experience, organizations and individuals look for different kinds of wellness coaches. Some wellness coaches are health professionals, such as nurses, that are being trained to coach patients around areas of concern. To get these jobs or contracts, you often have to have a medical background of some kind. Nursing is the most frequent field required. On the other hand, many life coaches specialize in health and wellness through their life coaching certification. These individuals may or may not have a medically related background, as it is not required for life coaching certification. Because the topic is in such demand, more schools are creating programs specifically targeting health and wellness clients. This is a viable and profitable option as the field offers many options for niche marketing and specialization. For example, many personal trainers get a wellness coaching certification to expand their training business. This gives them skills and techniques for working with the physical body and strategies for changing the mindset and motivation of their clients. Having this understanding of your options leads you to Step 2– Know what you want to do and who you want to serve. Having a plan for the type of work you will do and the type of clients you will target will help you choose the program that is the best fit for you. You background also plays into this. If you have a specific skill-set already and want to add to it, you may choose a different program than someone who is starting without any health-related experience. If you don’t know the answer to this, researching the various options available may help you refine your goals. Also, knowing whether you want to work for yourself or a company can also steer your decision making process. If you want to work for a company, find out exactly what skills and experience they seek in their health coaches. Then find health coach training to meet those requirements. Step 3—Do your Research. Find a school or program that best fits your needs. For this step, let’s look at some of the options for health and wellness coaching programs accredited by the International Coach Federation. 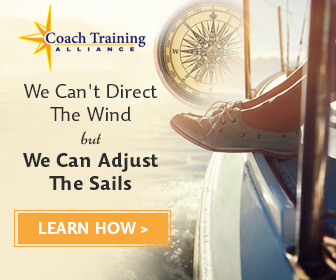 The Coach Training ACTP through the Institute for Life Coach Training can be completed as distance learning. Students become part of an active community, where they connect with peers and trainers. Of the 130 hours of coach training, 102 are core required courses. The remaining 28 are reserved for electives. Wellness Coaching is a specialty certification area, requiring 80 hours of specific coach training. The philosophy for the wellness program is based on acknowledging all aspects of health including the physical body, mind and spirit. The holistic approach makes optimal living possible for the client. This specialty option requires 40 hours of training in wellness concepts, wellness assessments, and skills used by effective wellness coaches. Each student may customize their training to meet their needs and interests. Additional resources offered through the school include free teleconferences covering business, marketing and ethics topics specific to the coaching profession. The cost for the accredited coach training program is $6800. The Habit Change Coach Program through the Habit Change Company (HCC), is an accredited coach training program for wellness coaching which can be completed via distance learning. With an integrative focus, the HCC philosophy helps clients take better control of their life by focusing on all aspects of wellness, rather than just the physical body. The program also focuses on delivering programs in businesses with the goals to increase productivity, decrease absenteeism, lower use of healthcare, improve employee morale and more. The HCC uses a propriety “Habit Change Process” to help clients. In addition to two extensive coaching courses, students of the program complete a coaching residency, which allows them to gain first hand experience and further their development as a coach. Students coach in an organization, with supervision, case presentations, and introduction to the local chapter of the ICF. The cost of the full program is $7995 and includes all courses, coach mentoring, supervision and certification fees. The Whole Person Wellness Coach® Training & Certification can be completed in person or through distance learning. Designed specifically for people who want to focus in health and wellness coaching, the program’s philosophy is that addressing the whole person- heart, mind, body and spirit is the key to health and wellness. 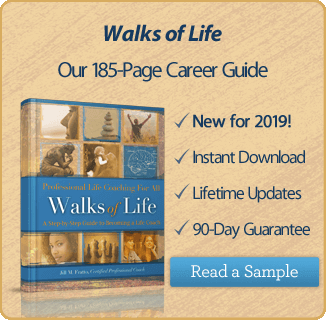 Their method of “Whole Person Coaching” is designed to reach and stimulate a client’s highest potential, empowering them to determine and create what matters most to them. The program consists of four modules, with additional options for specialization. Depending on the chosen track, it can take up to one year to compete and costs $2495-$8595. The Professional Path is $5995. This path gives you all the training and mentoring required for your professional ICF PCC credential. You still have to complete the application process through the Coach Federation for the Professional Certified Coach Credential. There are many more options for wellness coaching certification, but this gives you a start for your research in step 3. As stated earlier, it is important to have a good feel for the audience you want to reach as a wellness coach. Do you want to work with individuals or work in a group setting? The Habit Change Company’s residency program would give significant practice and experience to someone who wants to coach in organizations, but may not be the choice for someone who already has a personal training business and just wants to add to their services. You can find additional programs at www.coachfederation.org by searching for schools by the Health and Wellness coaching specialty. Once you choose your program, it’s time to jump in and get started. Most programs boast not only coaching skill development, but personal wellness transformation through their programs. Step 4 to getting certified is to enroll and complete a certification program. Once you are certified, you can begin your career as a health and wellness coach. As a certified health and wellness coach, you will have the ability to help clients live healthier, happier and hopefully longer lives.